John is the Executive Director of the Winous Point Marsh Conservancy in Port Clinton, OH where he oversees wetland and waterfowl research and conservation projects in southwest Lake Erie. John is originally from Barrie, Ontario, Canada and received both a undergraduate degree in Wildlife Biology and graduate degree in Zoology at the University of Guelph, Ontario. 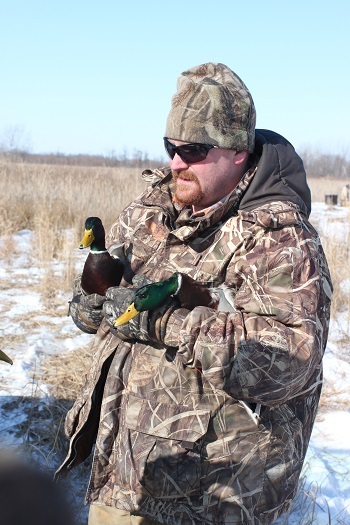 Prior to Winous Point, John spent several years working with Ducks Unlimited in Ontario and the US Great Lakes on research projects looking at breeding ecology of Mallards in the Great Lakes region. Opie is the maintenance and marsh management lead at Winous Point Marsh. A graduate of Ohio State University with a degree in Wildlife Science, Opie has over 15 year of natural resource management experience. Opie started at Winous in the internship program in 2000 and quickly worked his way into a fulltime role. Opie also operates a barbeque catering business outside of his fulltime position at Winous Point. 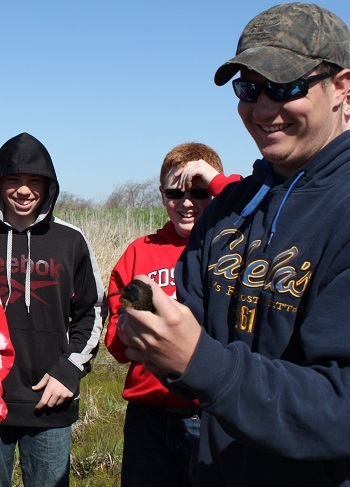 Brendan is the Research Coordinator for the Winous Point Marsh Conservancy responsible for overseeing a wide variety of research projects on site from aquatic vegetation sampling to king rail trapping and telemetry. Brendan originally hails from northwest Ohio and received his undergraduate degree from Ohio State University and Master’s degree from Michigan State University both in Wildlife Management. Before joining the Winous staff, Brendan served as an aerial survey coordinator for Michigan State University and the Michigan DNR conducting and analyzing pelagic bird surveys on Lake St. Clair and Lake Erie. 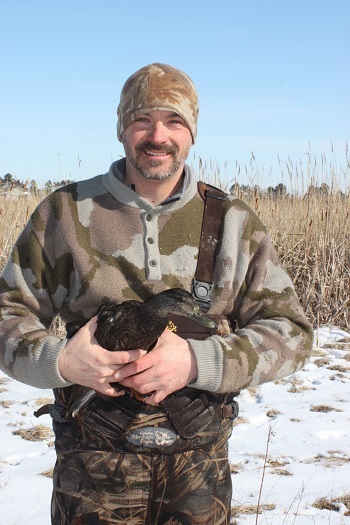 Mike is a Wildlife Technician at the Winous Point Marsh Conservancy. Mike grew up in Northwest Ohio and is a graduate from University of Toledo where he majored in in Environmental Science. 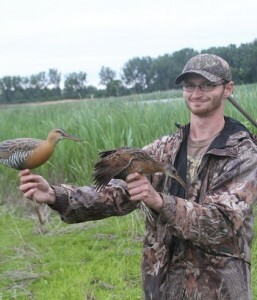 In the recent past he has worked closely with Sandusky County Park District on many bird banding studies as a seasonal intern. Now as a Wildlife Tech he is responsible for collecting and processing field data as well as preparing and maintaining equipment used in many of the studies conducted by the conservancy. 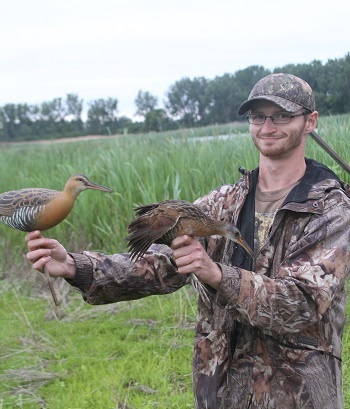 In addition to summer and winter duck banding, Mike is also deeply involved in Rail research and the submerged aquatic vegetation study during spring and autumn respectively.